We purchased a truck from here and Dasha and staff were very good to deal with . We will be going back here if ever in search of another vehicle . Thanks so much roadway . Excellent customer service, quality vehicles, and great after sales follow ups. Harman is very professional and knows what he's doing. One of the best car dealers ship in town. Salesman Harman had a good knowledge of cars and was able to answer all open ended questions.I would recommend this place. Good friendly service .but get a car and get the car with no gas.luckily theres a gas station next door.comeon guys least half a tank or something not on empty.. 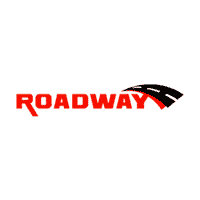 Very happy with my purchase at Roadways auto in regina was given full attention to my credit situation and affordability.My sister referred me there and I am very happy that I went to them and got a good deal.If anyone needs to buy a car go see Terrance there and tell them Glenda sent u there.